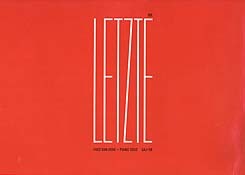 Recorded 15 June 1986, at Studio Casablanca, Berlin. Cover design (reproduced above) by Fred Van Hove and Manfred Kussatz. Issued on CD in January 2010 as FMP CD 143.